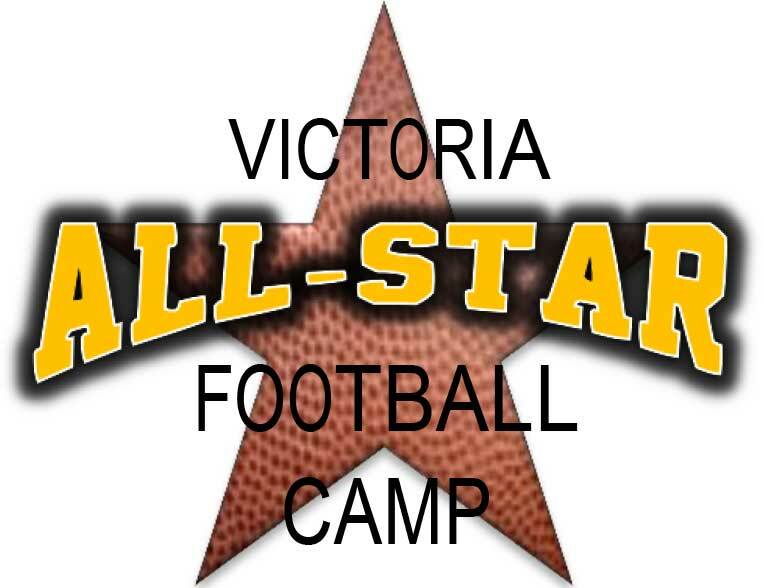 It is with great enthusiasm that we announce our 5th annualVictoria All-Star Football Camp on Saturday July 7th from 10 am to 3 pm at Mount Douglas Secondary School (off Laval Street, close to the UVic). Our 2018 Victoria All-Star Football Camp is a full padded, contact Camp within a positive environment, and we have expanded the age for players 9 to 14 years of age (born in 2004 to 2009), and reduced the cost. This year we are holding our Camp over one day and the registration fee is only $25, which includes 4 hours of football skill development and instruction, a practice jersey and lunch. Our high quality coaching staff includes former professional and university football players plus current university football players. Our Camp will focus on skill development and positional play, and is for all positions. Being a fully padded Football Camp, players are asked to provide their own helmet, mouth guard, shoulder pads, pants with full pads, cleats and water bottle. This will prove to be another great Victoria All-Star Football Camp and we would love you to be a part of all the Fun and Action!